Come along to our Art & Technology session on Tues 4th October at 7 to 9pm. Let’s have a go at painting on a smartphone or tablet. We’ll be using the ArtRage app for Android/ Apple. So, pre-install the free or paid for version, and I’ll guide you through its capabilities. 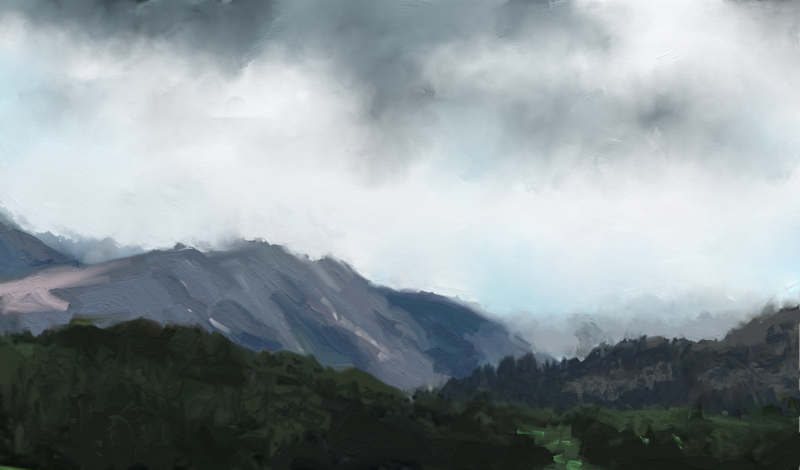 Here’s a painting I did recently, though landscape isn’t normally my subject.